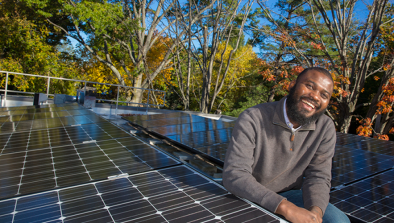 The Campus Sustainability Innovation Fund supports projects that use Harvard’s campus or the neighboring community as a test bed for envisioning and piloting innovative solutions to sustainability challenges, including, but not limited to, climate and health. Projects must tackle real-world challenges faced directly on campus or in the local community, and lead to the practical application of emerging technologies or strategies that can be used to inform the University’s implementation of its Sustainability Plan. Please note, we highly encourage applications for smaller research projects of less than $10,000. For proposals above $25,000, please contact David Havelick to ask about the requirements for a one-page letter of intent. The review committee will only invite some of those teams to submit a full proposal. Successful projects will aim to have an impact on operations and decision-making at Harvard’s campus, but should also provide scalable solutions that can be applied to other organizations or lead to a commercialized venture. Projects must map directly to Harvard's new Fossil Fuel-free commitments and/or at least one of the goals, standards, or commitments in the Harvard Sustainability Plan, organized around the five core topics of emissions and energy, health and well-being, campus operations, nature and ecosystems, and culture and learning. Projects from any discipline are welcome (e.g., the arts, humanities, sciences, business, law, policy, design, health, philosophy, and engineering). 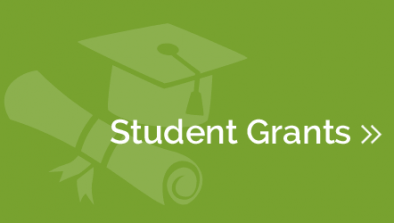 Grantees will be required to submit an impact summary and a simple financial report at the end of the project period. Grantees and their projects will be showcased in a public forum. Projects periods can last for up to two years. Grants are non-renewable, but there are no limits on the number of times an individual or team may apply for funding. Past awards winners may apply for new projects or a continuation of their past project only if it significantly differs from the project that was previously funded. Funds will be dispersed to the faculty member or staff member by way of a cross-validated Harvard account, and will be managed locally at that School. Materials submitted in the proposal process may be used to make connections, at the discretion of the Office for Sustainability, with other members of the Harvard community who share similar interests and the grant review process may result in feedback to applicants from other members of the Harvard community. These efforts to connect and provide feedback are intended to provide benefit to all applicants, regardless of funding decision. All teams must include at least one faculty member or researcher, one student or postdoctoral fellow, and one staff member. This should be the person who will be managing the funds (e.g., the faculty member’s financial contact). For proposals from Harvard Business School - if you have any questions, please contact David Havelick or Leah Ricci. Max: Two years. Projects can start as early as April 2019. This is for our website—write as if you are telling a friend. What is the sustainability challenge this project addresses? What (if any) research has already been conducted to assess the problem and/or to test the proposed solution on-campus or elsewhere? How will the student(s) learn and grow as a result of the project? How does the project relate to Harvard's new Fossil Fuel-free commitments and/or the Sustainability Plan? This should include the % gift assessment fee (if that exists at your School), fringe costs if applicable for wages/salary, and any other costs associated with the project. You should work with your financial administrator, grants manager, and/or Human Resources to ensure that all appropriate costs are included. A short description of why each budget item is necessary for the project is expected. If other funding is available/secured for other parts of this project, please describe. Letter(s) of recommendation and/or collaboration. This is not a requirement, and should be uploaded as a single document. All team members must be affiliated with Harvard University. Primary, secondary, and adjunct faculty are eligible. Researchers need to have a full-time appointment at Harvard. Only full-time registered Harvard undergraduate and graduate students are eligible. If the student’s graduation date precedes the project end date, a contingency plan must be outlined in the project plan to ensure continuity. Postdoctoral fellow appointments should be at least as long as the project period. If the appointment will end before the end of the project period, a contingency plan must be outlined in the project plan to ensure continuity. The staff person should be strategic to the mission of the project. It is recommended that teams define key performance indicators (KPIs) and/or other metrics of success in the project plan. Creative projects that leverage new strategies and technologies are preferred. Projects which have the ability to scale across the University, to other institutions, the surrounding community, or even globally following completion are preferred. Successful projects will have a direct connection to the Harvard campus or surrounding community. Projects should be using the campus or local community as a test bed to pilot new strategies or technologies or to gain new insights. Make sure your project aligns with at least one of the goals, standards, or commitments from the Sustainability Plan. All team members should be integral to the project mission. In the project plan, teams must include a clear plan for how the team will work together throughout the project period and the key contributions of each team member. If you anticipate a team member leaving Harvard before the end of the project, you should include your plan to replace them to ensure continuity. Successful projects will advance understanding within its own field or across fields to a substantial level. Mentoring and consultation from the Office for Sustainability is recommended and available to all potential applicants. Contact David Havelick: david_havelick@harvard.edu. The biophilia hypothesis, proposed by Harvard biologist E.O. Wilson in 1984, suggests that human beings have an innate biological connection with nature. Research has shown that exposure to nature is associated with positive impacts on mental health, productivity and cardiovascular health. However, the potential for similar benefits in indoor environments are plausible. There currently is limited research on quantifying impact of biophilic design, which incorporates natural elements into the built environment, on health. This project aims to investigate the impact of both physical and virtual exposure to biophilic environments in Harvard buildings on physiological and cognitive responses of their users. Students and staff will be recruited to participate in this study. Virtual reality will be used to simulate the exposure to a range of indoor environments with different biophilic features, which will be rated by a novel biophilic indoor design index (BIDI). A subset of participants will also be monitored in Harvard buildings with varying levels of biophilic design elements. We will incorporate wearable biomonitoring sensors to measure heart rate, galvanic skin response and blood pressures in real time. With this study we hope to gain an understanding of physiological and cognitive responses to natural elements in buildings to help guide design practices on Harvard campus and beyond. This project aims to crowd-source proposed redesigns of an urban campus' green space in ways that incorporate health, sustainability, and knowledge generation through an interdisciplinary student case challenge. This will increase the stakeholder engagement in campus capital projects, empower students via an experiential educational opportunity, and result in increased exposure of an underutilized space on Harvard's Longwood Campus that has been referred to as a "hidden gem" by many. Currently, the space serves as the location of the Countway Community Garden, which has grown over several years in its presence on campus. Due to ADA compliance projects, a large bike cage nearby will require moving and it's been proposed to be relocated in the Countway Garden area. The confluence of the Garden's expansion yet limited accessibility, increased need for bike access, and desire to engage the campus community in campus planning, has resulted in an inclusive discussion on how to re-envision the space. A team-based case challenge has resulted. This project explores people's perceptions of recycling and the recycling habits of those around them. This exploration has two arms: a survey designed to gauge people’s attitudes, perceptions, and opinions about the nature and efficacy of recycling, and a vignette study in which people are asked to rank fictional candidates based on their perceived “greenness,” in which we will manipulate both the magnitude of the sacrifice made by the candidate and the magnitude of the benefit they delivered to the environment. When institutions (like Harvard), corporations, and communities endeavor to promote sustainable and environmentally-beneficial practices, understanding people’s perceptions and assumptions could help us craft policies and encourage behaviors that are truly effective and sustainable. Healthy indoor environments are integral to protecting the health and well-being of occupants, which is a key component of Harvard’s Sustainability Plan. The goal of this project is to pilot a comprehensive health performance platform for buildings at two Harvard Offices, including Harvard’s Office for Sustainability. The platform combines building inspections with real-time monitoring and environmental sampling to evaluate buildings on the 9 Foundations of a Healthy Building: Air Quality, Ventilation, Thermal Health, Noise, Lighting & Views, Dust & Pests, Moisture, Water Quality and Safety & Security. This longitudinal assessment will provide insights to building management about how to optimize these spaces for health, and generate data for new research on 1) how building design and operation influence indoor environmental quality and 2) how improvements in the health performance of a building translates to improved occupant health, well-being and productivity. This project seeks to address Harvard’s sustainable food, greenhouse gas emissions, and educational goals by developing a technology to transform Harvard’s waste streams into a potent biofertilizer with renewable electricity. This project will work towards a pilot program to demonstrate the capabilities of this system to close Harvard’s nutrient cycle and promote sustainable agricultural practices. This project seeks to develop a set of analytical models for the energy use of Harvard’s campus and provide a replicable intelligence framework that includes energy conservation recommendations. The project aims to assist Harvard’s Sustainability Plan by highlighting opportunities to reduce campus energy use intensity, becoming a tool for energy management, and address Harvard’s commitment to assess energy use by building and space type in order to inform future climate change goal setting. The overall objective is to generate actionable insights relevant to other university campuses, provide a framework for how they can conduct their own analyses, and introduce a replicable model outside Harvard’s boundaries. Significant progress has been made with the creation and implementation of the Harvard University Sustainability Plan, and by the Harvard Kennedy School (HKS) being the first school to have it’s own Sustainability Plan. Thus far, much of the focus has been on reducing Harvard’s carbon footprint and expanding the university culture to include sustainability practices as a fundamental element of a responsible institution. Another important area is the integration of sustainability systems thinking into the culture of teaching and the core curricula, which is a growing national and international trend. In order to prepare HKS graduates to navigate a rapidly changing world and make relevant policy decisions that will have a lasting, positive impact, increased sustainability integration into HKS’s curricula is the focus of this project. As a starting point, we will investigate opportunities to establish metrics of competency, such as the Sulitest, which stands for Sustainable Literacy Test and is an initiative of the UN's Sustainable Development Goals (SDG). We will gather curricular resources and identify a plan for faculty and student engagement. The results of this investigation will be supplied to the HKS Sustainability Competency subcommittee, and could have relevance to other schools at Harvard, and beyond. Published paper: How Do We Measure Poly- and Perfluoroalkyl Substances (PFASs) at the Surface of Consumer Products? Highly fluorinated compounds, like poly and perfluoroalkyl substances (PFASs), serve as grease and water repellants in materials like furniture, carpets, and food packaging products. These compounds are known to be persistent and bioaccumulate, and have been linked to many adverse health outcomes such as metabolic disruption, cancer and immunotoxicity. This project will test for the presence of PFASs in building and food contact materials on Harvard’s campus. With the results, an exposure analysis and risk characterization will be made to determine the risks associated with using PFAS-containing materials. The results will also provide actionable information to help Harvard remove PFAS-containing materials from campus. This project adapts a mapping of the sustainable and optimally-leveraged food system against the food system as it exists for Harvard University, with a focus on the aqua-sourced produce (fish, crustaceans, sea vegetables etc). The goal of the project then, is to map the impacts and evolve a set of leverage points that can be immediately deployed by Harvard University Dining Services. The process of the project involves a cartographic mapping, network visualization and a process flow analysis all of which will provide a foundation for multi-dimensional impact analysis. The Harvard Aretian Food Plan is aligned with the vision developed by the Harvard Office for Sustainability summarized in the 2014 Sustainability Plan, particularly around food procurement strategies. The purpose of the project is to design a Business Intelligence tool describing a set of metrics in line with the Aretian Foundation allowing Harvard University and its food vendors to assess which local farms it would like to do business with. A greater understanding of the business relations will allow all parties to measure the success of the new contracts established with food producers and track changes overtime. Some examples include the ability to estimate environmental impact of sourcing local food, assess Harvard’s financial investment impacts regional communities, understand seasonality restraints for sourcing food from local vendors, establish guidelines for sourcing food from non-local and corporate food companies, and how aggregators, such as the proposed Aretian Agricultural Foundation, would help Harvard work with local food producers. 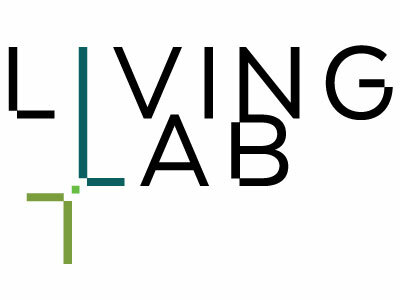 Incubation fund that provides seed funding for creative student projects that align with the University’s sustainability and climate goals. Undergraduate and graduate students are invited to submit proposals on a rolling basis, with a deadline in October 2019. Supports research and policy initiatives intended to hasten the transition from carbon-based energy systems to those that rely on renewable energy sources, to develop methods for diminishing the impact of existing carbon-based energy systems on the climate, and to propel scientific, technological, legal, policy and artistic innovations needed to accelerate progress toward cleaner energy and a greener world. Faculty and students are invited to submit proposals in October 2019. The Center for the Environment’s Summer Undergraduate Research Fund provides financial support for student research projects related to the environment in the form of independent research projects or research assistantships. Specific opportunities can be found here. The Campus Sustainability Innovation Fund is managed by the Harvard Office for Sustainability and Office for Strategic Procurement and is made possible due to the generous support of the Malcom W. P. Strandberg Trust in honor of Malcom W. P. Strandberg PhD, BS '41 and the W.B. Mason Corporation.